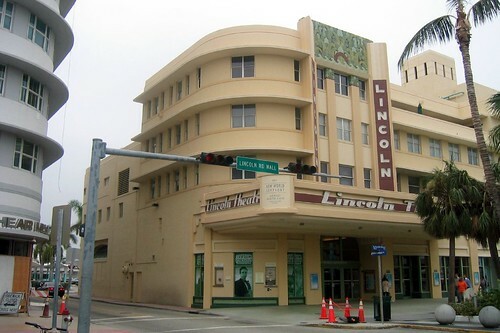 The New World Symphony has sold the Lincoln Theatre to a company that plans to gut the theater interior and renovate the space for retail shops, bringing to an end the venue’s seven decades of entertainment on Lincoln Road. The historic Miami Beach performance venue incubated the New World Symphony from its scruffy beginnings in the late 1980s. The old theater, built in the 1930s as a movie house, was purchased by Miami-based Savitar Realty Advisors, which plans to convert it into retail stores, according to a news release from Holliday Fenoglio Fowler LLP, which arranged the sale. Although the 704-seat hall and suite of offices at 541 Lincoln Road was never a particularly impressive base of operations, it had a bohemian allure and a lively acoustic that suited the adventurous orchestra, made up of young conservatory graduates on three-year fellowships. When the orchestra first moved in, the musicians had to contend with a colony of feral cats that had gotten there first. The orchestra is constructing a new performance complex a block to the north, designed by the renowned architect Frank Gehry. Wow! Just what we need!!! More retail crap to buy and less arts venues. Happy money!! How awful is to know that the little culture space is being killed, what kind of business you can run when you are killing the art at the same time?